Chrome's latest version also adopts several HTML5 features, including geolocation APIs (application programming interfaces), application caching and drag-and-drop capabilities, Google announced on Tuesday. Google Chrome 5.0.375.29, available in beta for the Linux, Mac and Windows operating systems, improved its speed and performance by 30 percent and 35 percent against the V8 and SunSpider benchmark tests, respectively, Google said. In addition, the new Chrome version lets users save their browser settings, such as themes and language, in their Google accounts and later apply them to Chrome in other machines they use by signing into their Google account. That way users don't have to manually configure Chrome in their various PCs. This builds on the existing ability to sync up Chrome bookmarks. This beta version for the first time also integrates Adobe Systems' Flash player plug-in into the Chrome browser, which was launched in September 2008. Besides likely creating a better experience for people viewing Flash content and applications, the integration of the Flash plug-in could improve the overall security of Internet browsing, said Al Hilwa, an IDC analyst, via e-mail. Moreover, the expansion of the sync functionality increases user stickiness to the browser and to Google's properties and sites, he said. As for the performance gains, most delays in accessing Web sites aren't caused by browsers themselves, according to Hilwa. "Performance is a complicated equation and the back-end servers and networks have just as much to do with it as the client machines," he said. 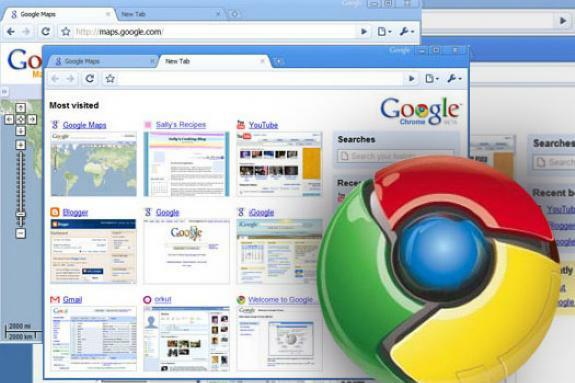 Google developed the Chrome browser because the company was dissatisfied with the performance of existing browsers like Microsoft's Internet Explorer and Mozilla's Firefox, especially with regards to Web applications and services, it has said. At the end of April, Chrome ranked third in usage market share with a 6.7 percent slice of the pie, ahead of Apple's Safari (4.7 percent) and behind market leader Internet Explorer (59.9 percent) and Firefox (24.6 percent), according to Net Applications.